When Flo contacted us, they only had their logo. 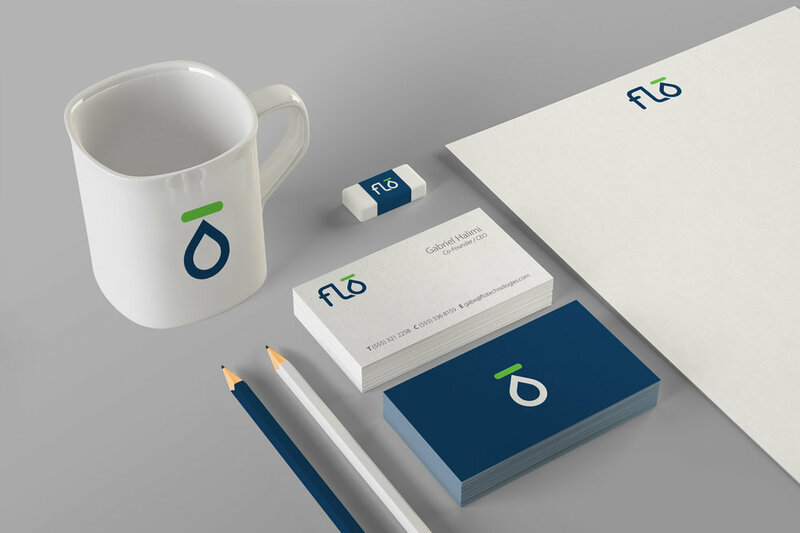 We started with taking that pre-designed logo and creating a brand style guide to set the rules which would help them establish the Flo brand consistently in every medium. Then we designed a stationery set for their basic, immediate needs before moving forward. 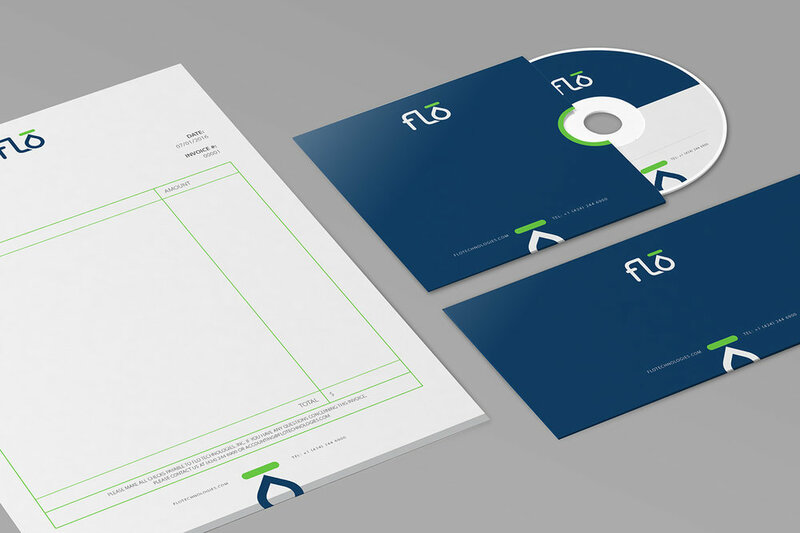 The second step was to create the packaging for the Flo device. We designed many different options that reflect the core idea of the product and the feeling the client wanted to trigger on their customers’ minds. Among them, they picked the design above and it became the first visual material that a Flo user meets. In the box, there are three printed booklets, one for installing the device, one for using it, and one for information about the battery pack. Each guide is in the same square format and marked with a different color code for easy access. The Flo mobile app is the vital part of the user experience. 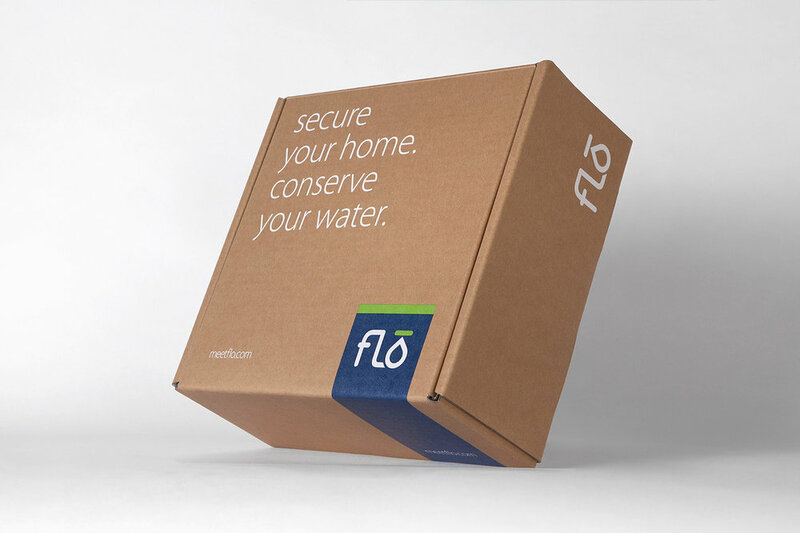 Once the Flo device in installed in the water system, user doesn’t see the device unless there is a service need. Instead, he/she controls the home water remotely, on his/her smartphone. The dashboard looks blue when the system is secure and everything is OK with the home water. When a problem occurs, the whole screen turns orange or red depending on the severity of the issue, and it gets gray if Flo device is offline or the pairing has not been completed. Beside the dashboards, Flo mobile app has dozens of uniquely designed screens for installation and pairing steps, control panel, alert details, fixture usage statistics and more. For investors, educational presentations and events, we created a plenty of different Keynote decks with hundreds of informative slides. By using the right information hierarchy, proper typography and easy-to-follow infographics, we helped different audiences understand how Flo works, and what its goal is. The mobile app is one of the most important parts of the Flo experience, but users can also reach the details of their home water systems on their desktop computers or laptops, thanks to the web based Flo Account Portal. We designed the portal in a very simple, easy to understand way, so that the customers can start using it right away almost without the need for a learning curve. We produced multiple videos, to show plumbers how to install the Flo system, to help homeowners understand how to use the Flo device and the Flo mobile app, and to tell the world why Flo matters. 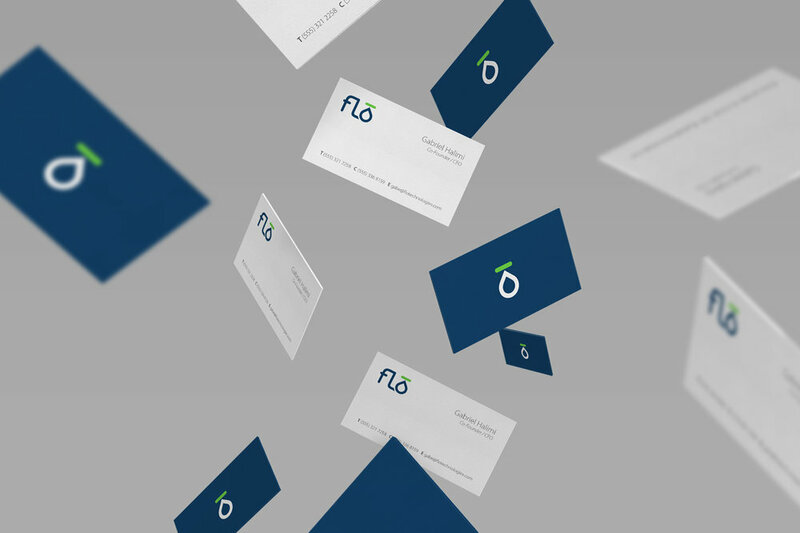 During our long-term and still continuing partnership with Flo, we have designed many other materials from posters to e-mails, infographics to apparel, promotional objects to social media graphics, billboards to trade show booth panels, and many more.